Category Archives for "Lucid dreaming"
In this lucid dream mask review, I am going to tell you about the one sleep mask that I use which is the best one available in the stores right now according to me. See, when I was a beginner lucid dreamer, I believed in many crappy products that claimed to induce lucid dreams with the help of REM detection, you know what I am talking about right? Such devices may have worked for people, but I prefer natural ways, I don’t want my body to be uncomfortable in any way while sleeping and I will never suggest you messing up your natural sleep cycles because your mind states depend on it. What I want people to understand is that lucid dreaming is all about practice and knowing your mind better, especially by becoming more conscious in the waking life. However, a sound sleep matters a lot for lucid dreaming which requires that you sleep in complete darkness. No matter how hard you try a little light is always present in the room, that’s why sleep masks are very helpful not only for a sound sleep but also for having vivid dreams that conscious dreamers always desire. 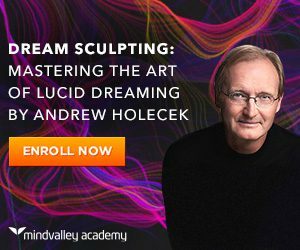 Mastering the art of lucid dreaming is the tagline of Andrew Holecek’s new program and in this Dream Sculpting review, I will be giving you a detailed information and my honest opinion about this product so that you could decide if it is going to fulfill your purpose or not. This is the only lucid dreaming online course in which I found this skill being taught from the perspective of spiritual development and self-growth rather than for just enjoying the virtual world. 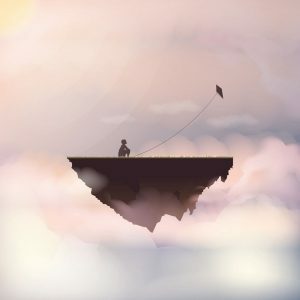 Obviously, as a beginner you may be having a plethora of stuff to do in your dream world, which you will surely be able to learn using this program, but once you have reached to a place where you want to achieve something higher than just surface level fantasies, you start seeing lucid dreaming from a totally different angle. That is what happened to me, I have been lucid dreaming from a long time but I always wanted to use this skill to know more about my inner mind, I wanted to communicate with my inner being and get spiritual insights in my dreams. If you have had out of body experiences (OBEs), you might be well aware of the difference between astral projection and lucid dreaming, but if you have never had OBE adventure, then it will be very difficult for you to even imagine what it would be like to be an astral traveler. I am saying this because I have been a lucid dreaming for a long time now and I have had dreams that are so close to waking life, that it sometimes feels like reality. Multiple false awakenings combined with sleep paralysis have troubled me a lot in the past, to which I found out a solution by converting false awakenings and sleep paralysis into lucid dreams. 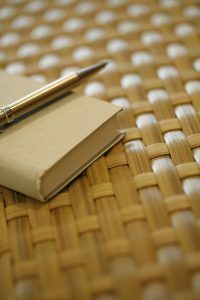 If you are thinking of starting to write your dreams, then the tips I am going to share in the post will help you to keep a dream journal properly so that you can become a lucid dreamer. Here I will be sharing a few tips with you using which you can multiply the benefits of dream journaling for both remembering your dreams as well as for increasing your dream awareness. People often become too lazy to write their dreams on paper, there definitely are many alternatives to dream journal, but none of it is that much powerful because our inner mind more easily retains data that we write on a paper. These tips that I am going to offer you here will put you a lot of steps ahead in the journey of lucid dreaming because all these points are effective ways to communicate with the subconscious mind about your interest in your dream world. First of all, make sure your dream journal is a good looking, high-quality one. There is a psychological reason associated with this, so prefer not doing it on any common notebook. Trust me, you will not bother to open a shelf or get up from your bed to record your dreams when you are half asleep. This is a very important one guys, write your dreams in the present tense as if you are dreaming right now. Doing this will sometimes bring some of the dreams to your awareness that you might have forgotten. One of the best ways to let your mind know that you intend to remember your dreams is to read your dreams before going to bed. For knowing your dreams better, I advise you to write whenever you wake up, no matter what time it is. Sometimes you will be so less conscious to even able to write a complete wordwhen that happens use codes, abbreviations which you can understand afterward. I am…Jimmy..beach. fly abv Antarctica..penguins. I am simply trying to say here that I am on a beach with Jimmy, and then I am flying above Antarctica and I see penguins. Sometimes you don’t even need to understand each word, it will remind you the whole scene naturally. You will be tempted to write your dreams as quickly as possible due to your busy schedule, believing that you will complete it later on. However, you probably will realize this soon that you forget all your dreams within few hours after waking up, so you will never get a second chance to describe your dreams in detail once you get out of your bed. What’s wrong with that? Well, if you won’t try to recall your dreams in detail, you won’t ever remember your lucid dreams in much detail, that can make you miss a hell lot of things about a beautiful lucid dream adventure. Dreams are weird, we all know that. See, all the rules we have made about “what is right” and “what is wrong” does not apply to our dream world. Sometimes you may dream stuff that you may not want anyone to know or you won’t like to be reminded of that either, so you may want to just skip it sometimes. One thing you must understand is that some such dreams must have occurred for some purpose of which you are unaware, if you will not write your dreams honestly, then many important dreams will start getting out of your awareness before you even pick up your journal. You can again use codes to describe such dreams so that only you can understand it. This might seem silly to you, but if you want to let your inner mind know that you want to be more aware of your dream world then a little bit of creativity is essential. Hence, give a good title to all your long or interesting dreams. Also, make sure to begin by writing the date first. 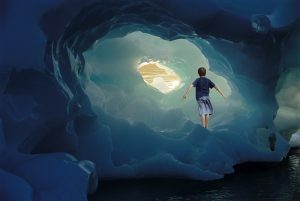 I hope you enjoyed this post, if you are new to lucid dreaming, then I recommend you to check out my 7 tips for beginner lucid dreamers. Also, you may be interested in knowing the lucid dreaming method that works best for me. Since dreams are created by our subconscious mind, the lucid dreaming affirmations that I will be discussing in this post can help you to become conscious in your dreams as well as to get better at having prolonged lucid dreams with greater control. Honestly speaking, I have never been a big fan of affirmations despite knowing that it is a great tool for implanting suggestions in our inner mind, I often find it a tedious task, so I have always preferred the other ways of altering the limiting beliefs present in my subconscious mind. So I promote usage of the methods I use for clearing my subconscious mind blocks when it comes to achieving goals and personal growth. However, when I was using dream sculpting program, I found a few ways to get better at lucid dreaming with the use of affirmations and it actually worked. 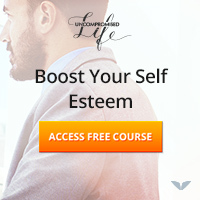 I believe that the affirmations which I am going to share with you here will not only help you to get better at inducing lucid dreams but also to hone this skill because it worked that way in my case. Before we get there I want to explain a few things that make affirmations so powerful for the purpose of lucid dreaming. Basically, there are three things that affirmations do when we are using them for lucid dreaming. The first is just for entering into a dream with awareness when you go to sleep every night, in other words, it is meant for inducing lucid dreams. On the other hand, the other two are about improving your abilities as a conscious dreamer. Since the first one is all about inducing a lucid dream, it is a process to just keep you mentally awake while falling asleep, however, the latter ones are all about passing suggestions to your powerful subconscious mind so that you could master this skill in the long run. Has it ever happened to you that your last dominant thought got into your dreams when you fell asleep for a short duration? Has it ever happened that you were listening to a song while taking a short nap and you continued to hear it while you were dreaming? Or something that was happening in your surrounding when you were sleeping and it somehow became a part of your dream? Based on the fact that we can carry certain repeated thoughts and intentions into our dreams by contemplating over it before sleeping, there is a method used by people called WILD (wake induced lucid dreams). WILD is simply a method where you take your conscious thoughts with you in your dreams in order to induce a lucid dream using various techniques and one such technique is affirmations. What happens is when you repeatedly say some affirmations while falling asleep during the time when your mind goes to REM (rapid eye moment) cycle, you carry those words into your dreams and it will make you aware that you are dreaming. I will give a few affirmations for this purpose later in this post, but in order to use them, you will have to do it during REM sleep which usually happens during early morning hours. All you have to do is to wake yourself up an hour before your normal time and say those affirmations. It can be effective during daytime naps as well and sometimes also in your usual bedtime. We all dream, all of us. Still, if you will ask some people they would say that they rarely dream or don’t dream at all, this is not an exception, but a poor dream recall. If people are not much interested in their dream world, chances are that they will only recall rare dreams which leave a strong impression that continues after waking up and that is why they live under the illusion that they don’t dream. We all forget most of our dreams from the time we wake up to the point where our mind gets completely engaged in the thoughts of our waking lives, with practice this time period increases. But if you have a poor dream recall, then you will forget that you had a lucid dream within a few seconds after waking up, so quick that you will never even get to know it. What is the point of being able to have lucid dreams if you are totally unaware of it? I have written a post on the alternatives for dream keeping a dream journal, but writing down your dreams on paper is always best. Affirmations, however, can improve your conscious mind’s ability to retain your dream memories since “memories” whether that is about dreams or real life is simply a process where information gets transferred from your subconscious mind to your conscious mind. Thus, if you will keep repeating a few positive suggestions, you will see a significant change in your ability to recall your dreams. It is not at all of any good use if you just become conscious in your dreams without being able to do what you have desired. 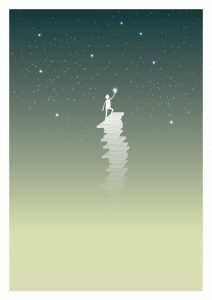 As a beginner lucid dreamer, it will be hard for you to maintain your awareness of the dream, control it or stop it from ending. It is a common thing, that a dream collapses as soon as a person gets aware of it. So if you want to actually explore your dream world, you need to get that message to your subconscious mind, and as I have mentioned before, affirmations can help you with that. I am not going to give you some secret “magical” affirmations here that will make you an elite level lucid dreamer overnight, no I am not going to do that because there are no magical affirmations. See, affirmations are just tools for doing this and that is why you can always formulate your own affirmations. Like, “I am a lucid dreamer” is obviously not a powerful affirmation in comparison to “Every time I dream, I know that I am dreaming”. Can you see the difference here? The first one is simply about the label “lucid dreamer”, the second one, however briefly explains and demonstrates what you want, whereas it is not just a surface level thought. Always keep in mind our subconscious mind cannot hear “No”, so if you will use any kind of negation in your affirmations, it will work in the opposite way. So “I don’t lose my awareness when I dream” is an example of an affirmation that will sound to your subconscious mind as “I lose my awareness when I dream” since it cannot hear the word “no”. A right affirmation in the above case would be “I am fully aware whenever I am dreaming”. I am going to provide some very good affirmations for all the purposes we have discussed above, make sure you choose the ones that “feels right” to you. I am aware and conscious right now. This is a dream and I can control it. I am creating this dream consciously. In this dream, I will be fully conscious. I am dreaming and I know it. I naturally recall all my dreams in complete detail. My dream memory is very strong. My dream memories are important to me. I remember all my dreams when I wake up. My ability to recall my dreams is getting better every day. Whenever I dream I become aware of it. I always become conscious in my dreams. Every time I become conscious in my dreams, I remember my intentions. I am very good at controlling my dreams. My conscious dreams are long and real-like. I love it that I can control my dreams. Whenever I sleep, my mind is highly aware. I am getting better at becoming aware in my dreams every day. My conscious dreams are clear, vivid and memorable. I am good at maintaining my dream awareness. Those were some affirmations you can use to become a good lucid dreamer. You might have noticed that I have used the words “awareness” and “conscious dreaming” in the place of “lucidity or lucid dreams”, that’s because our inner mind is more familiar to those words. However, there is no huge difference if you want to use “lucid dreaming” because the intention and feeling associated with it will remain same. You may also like to read about the lucid dreaming technique that works best for me. I have heard about a lot of exciting dreams, but there are a few lucid dreaming stories that I came across which really left me dumbstruck, so I want to share them with you here today. Previously, I made a post on my three interesting lucid dreaming experiences that gave me some spiritual insights and I have had many amazing dream experiences. But the stories “Robert Waggoner’s “Lucid Dreaming – Gateway to the Inner Self” book narrates has always boggled my mind because they depict the power of our inner mind. If you are a lucid dreamer, your interest in your dream world will increase after knowing these stories and if you are not, then you may start aspiring to be one after reading this because these stories tell us that our dreams are a lot more than just a virtual world. Robert starts the thirteenth chapter “Healing Yourself and Others” by giving an example of a person Dan, who was physically affected in actual life from what happened in his dream. A very important tip for the lucid dreaming beginners, “Never try to prove your dream figures that they are not real and never act as the boss in your dreams”. So what happened in this dream is that this guy Dan found himself in an extravagant party in which a beautiful lady came and sat on his lap asking whether he is enjoying himself to which he responds by stating that he is dreaming. Hearing this, the dream figure asks if he thinks she is not real and he says “yes” which makes her very angry. Annoyed by Dan’s denial of her existence she crushes a lit cigarette in his hands saying “let me show you what’s real” which wakes him up. What is astonishing about this story is that this guy actually had the round shaped burn mark on his hand when he woke up! It is our powerful subconscious mind creating the dreams, so anything can happen. This is a rare example which indicates that dreams can make an impact on the physical body. A common example is feeling pain in the dream that sometimes continues with less intensity after waking up. Next story is about Ian, Robert’s friend who did an experiment on lucid dreaming telepathy with a person which turned out to be a hard to believe incidence. A girl gave Ian a task to locate the correct position of a freckle she has in her back in his dreams to see if it is possible to establish a telepathic connection in the dreams. Within a week, he had a lucid dream where he met her and found that the mark was in the exact center of her back just above the hips. He confirmed it with her whether what he saw in his dream had any truth associated with it and it turned out to be the exact position where she had that freckle. Now this one is totally insane, there is an entire part about mutual lucid dreaming in that book, but what really got me was the story with which the chapter begins. The story is something the author has read in some other book where a person who lives in a co-ed dorm of a college dreamed that he went to the dorm where girls lived and made love with more than 10 girls there one by one. Shockingly, he finds out that many girls there have had similar dream the same night and they began teasing him as “Romeo” that day because of that, due to the embarrassment, he avoided talking about it with anyone there. I have shared a lucid dream where I met a deceased friend of mine before, but one story illustrated by Robert’s book is very surprising. A girl dreams meeting a deceased preacher whom she knew as a child, being a lucid dreamer, she understands the situation and asks “do you have any message for your wife” and he replies “tell her, the big picture she has of me is not me”. This girl went to that preacher’s house to meet his wife and narrated this incidence despite the hesitance and his wife broke out in tears by telling her that she has been crying in front of a big picture of him that she has in her house, trying to pull him out of it! “Robert Waggoner’s “Lucid Dreaming – Gateway to the Inner Self“, is one of the books I read as a beginner in conscious dreaming, I got referred to it by the program that began my lucid dreaming journey, and it remains my favorite book on conscious dreaming ever since that day. I love it because it covers in detail about the possibilities of lucid dreaming. If you need to read more dream stories, you will find plenty of them in this book. “WILD” is one of the most popular methods of lucid dreaming, so here I will be discussing some methods that will help you to have wake induced lucid dreams. This is probably the most used lucid dreaming method because entering into a dream with a strong intention of becoming lucid during the REM phase of sleep increases the chances of one to become conscious in their dreams. Hence, WILD is simply a dream that is consciously entered from the wakeful state during the REM (rapid eye movement) cycle. Since the rapid eye movement cycle is the phase of our sleep cycles where we dream, our mind is more aware in that state and this fact can be used to increase dream awareness using various techniques so that you could have lucid dreams. There are many methods you can use for wake induced lucid dreams and I will be discussing some very effective ones in this post. More important than the methods, you will have to wake up at the right time otherwise it will defeat your purpose. 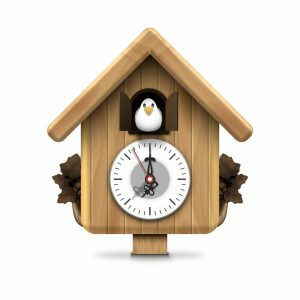 Identifying the clock time when you have REM cycle is the first step in WILD technique and this could be done with a little observation of your sleep quality. Adults have 3-4 complete sleep cycles every night if they have normal sleep, a complete cycle consists of a deep sleep cycle (where the mind goes into deep unconscious levels) and REM sleep, which as I have already mentioned, is when our mind is more aware. Rapid eye moment sleep is so called because our eyeballs keep moving during this phase, if you wake up when REM cycle ends, you will be wide awake and you will remember your dreams very well. If you have ever set alarms at different points while sleeping, you might have seen that sometimes when you wake up you are more awake whereas during other times you feel very sleepy. When you wake up more alert, you have just finished a REM sleep and when you find it difficult to get up, you were in a Non-REM deep sleep. There is a formula to find out your complete sleep pattern, which can show you all the REM phases of your sleep, which is explained in chapter five of the Miracle Mastery book, but I advise you to do it in the early morning hours because a good night’s sleep is very important. 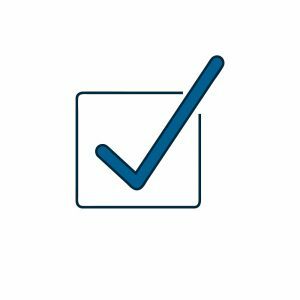 When I say “best”, I am talking about the methods that work best for me and I believe you will also get similar results using them. This is the lucid dreaming method which works best for me since this simple method has helped me to have multiple lucid dreams over a short period of time and I also love it because I really don’t have much work to do here (Yes, I am lazy). Just wake up during your REM cycle time (or one hour earlier than normal) and go back to sleep, close your eyes and try to sleep even if you are not able to, keep lying in the bed until your usual waking time. The next day, wake up during the normal time, keep doing this on alternate days and you will start having lucid dreams in those extra few minutes. What happens is that our mind becomes very active in that extra hour, which naturally increases the probability of lucid dreams. Once you are fully awake during your REM sleep time, just walk around your room a little and do some reality checks to know whether you are still dreaming, trust me, that could be a false awakening, so do it sincerely. You can look at your hands, the clock or your mirror image..make sure you are doing it sincerely to know if you are dreaming, don’t be too sure that you know the answer or your mind will trick you. Many times you will have dreams where you will perform these reality checks as you were doing it when you were awake, so if you are doing it properly, you will have lucid dreams for sure. For people who want to be their dream architect, this method would be most helpful because here you imagine your dream beforehand. Make sure you are fully awake before you do this, wake up and wash your face…listen to a song and move your body a little.. do whatever you can in order to make your mind totally awake. Now lie down and imagine whatever you want to dream, just do the visualization by mentally going to a story mode, keep doing it until you fall asleep. There is a chance that your visualization will continue as a dream as you doze off, but you need a little practice to stay aware and become lucid while doing this. This is something I wanted to share with you so eagerly because this method is probably one of the best techniques to maintain awareness while you are falling asleep. You can use this method for frequent lucid dreaming once you get better at it; I have prepared it by combining a few things I learned from different places, there is a lot to say, so I have a whole different post on this lucid dreaming meditation method, which you can check out if you are interested. One thing I would like to warn you here is that you might have to face multiple false awakenings and sleep paralysis with the use of wake induced lucid dream methods, so I recommend you to read my post on converting sleep paralysis and false awakenings into a lucid dream to prepare yourself for that and use it to your advantage. You can also mail me with any of your queries at hari@zerotoinfinitude.com, I will be very happy to help you. Lucid dreams are one of the best ways to end reoccurring nightmares, but things can also get worse when you start having lucid nightmares. I am about to share some very important things about nightmares here that will help you if your sleeps gets ruined due to disturbing dreams. 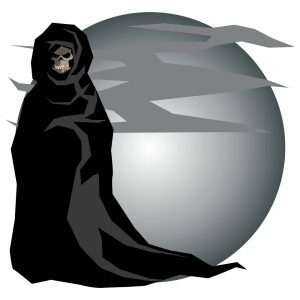 Nightmares are normal when it happens rarely, but if unpleasant dreams become a part of your life, then that could really mean that there are some deep unresolved psychological issues about which you are doing nothing, these dreams could be an indication. Lucid dreaming is a process that can solve such problems when used wisely, however sometimes using conscious awareness to dissolve the psychological stuff could be far more difficult than what you might be expecting. It is a type of therapy when you use lucid dreaming for knowing your nightmares better so that you could do something to put an end to it at once. Doing this will extremely benefit your life and mind state. But you might have to face your biggest fears while doing this. On the other hand, there are dreams called lucid nightmares where people know that it is a dream, still they can’t escape. If you have never had them before, let me tell you, it could scare the hell out of you. But the question is, would you choose to live with suppressed emotions that causes troubles in your life and doesn’t allow you to have a good night’s sleep since your inner state will be reflected in your dreams, or will you dare to face your fears, no matter how troublesome it is. Sometimes, you don’t even have a choice, when your inner mind decides to release the suppressed emotions with the use of such dreams. Yet, being a lucid dreamer makes things easy by giving you a greater understanding of what is happening inside you and it also teaches why sometimes it is necessary to look at things you are afraid of. Let me explain three different types of nightmares that you may have to deal with as a lucid dreamer and how it can help you. If you are not a lucid dreamer then I think you must know that you can really understand your inner world better by becoming a lucid dreamer. Lucid dreaming enables you to get to the root of your nightmares, end them or convert them into a pleasant one. In the fifth point of my lucid dreaming facts post, I have given a short example of how I became lucid in the middle of a nightmare and received an insight. This can happen to you as a lucid dreaming beginner, sometimes things get out of control and our actions in the dream world gets backfired. Our ego (conscious mind) never has a complete control over our dreams, it is in the hands of our subconscious mind and our degree of control in the dreams also depends on how much our inner self is allowing it. As an expert level lucid dreamer, you won’t face many such situations, but sometimes beginners make a few mistakes, like believing that they are “god” in their dream world, when they have controlled some of their dreams. 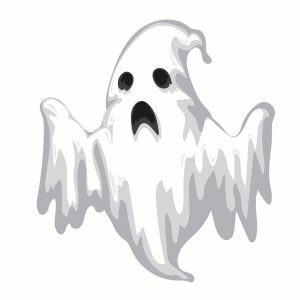 One of my friends once started to beat up people in his lucid dream which then turned into a nightmare and thereafter he was so scared that he kept the lights on while sleeping for over a month. Now this is the form of nightmare that makes people scared to death, a scary dream where you know it is a dream, still cannot do anything. Sleep paralysis also falls into this category, where you falsely wake up paralyzed in your bed and sometimes also sense a scary figure around you in that state. Don’t get afraid, as a lucid dreamer, you can learn to convert sleep paralysis into a lucid dream. You don’t need to be a lucid dreamer to have lucid nightmares, this can happen to anyone, my sister has often shared with me how she frequently get nightmares where she knows that it is a dream. So, when you know that you are dreaming while facing a nightmare and still cannot do anything about it, that’s a lucid nightmare. Such dreams may be the scariest, but when you become aware enough to face them and try to make sense of it; it becomes a gift, really. It can release all the psychological stuff you have been holding inside you for a long time. All you should do is to “let go” the need to escape it and observe that emotion without trying to run away, let what is happening, happen. It is a dream anyway. I was in my kitchen and I opened a cupboard to find that a scary creature was hiding there, immediately I tried to scream but the creature did something that froze me right where I was standing. At this point, I realized it was a dream, I started using my will to end it, but nothing seemed to work, then I knew that it was time to face whatever was being shown by my higher self. That hideous creature then came very near to me, stood there for a while and said something..and the dream ended. I really don’t know what exactly happened, from that day onward I became a little more productive than before. If you really want to understand your nightmares and know what is the reason behind such dreams, then I would suggest you to try dream sculpting program because it has helped me to understand my inner world better using the art of lucid dreaming. So, that was all I wanted to share with you about lucid dreaming and nightmares. If you are interested in lucid dreaming then you might like to know about the lucid dreaming meditation that works best for me. I would also suggest you to read about the methods to access your subconscious mind power. Dream journal is a very important thing for lucid dreamers, however there are many other benefits of developing the habit of keeping a record of your dreams which I will share with you in this post. Writing your dreams everyday might be a little difficult task to do initially, but once you get used to it you will find your interest in remembering your dreams increasing, naturally. If you want to be a conscious dreamer, then you must keep a journal because you will miss a lot of lucid dreams if you don’t do it, there are alternatives to dream journals, but writing down your dreams on paper is most effective, we will see the reason behind it later in this post. So let me jump straight to the points on how keeping a dream journal can help you in various ways. That’s obvious, we are doing this because we forget our dreams. Have you met people who say that they don’t dream? Well, that is not true, we all dream, but they just have a poor dream recall so they think that they don’t dream at all. We forget a lot of dreams before the time we are fully awake, a lot more by the time we get out of our beds and almost all of them by the time we get engaged in the thoughts of our day to day lives. SO IF YOU WANT TO BE A LUCID DREAMER…..no exceptions. When you write things on a paper, your subconscious mind hears it, and you recall it better. I might be reminding you of your high school teacher, but whenever you really want to remember your dreams, write it down on a paper, no voice recording or saving texts on your phone. So, the more you prefer to write your dreams, the better your dream memory gets. When you are awake, you can only observe your surface level thoughts, what is happening inside can be known by analyzing your dreams better. 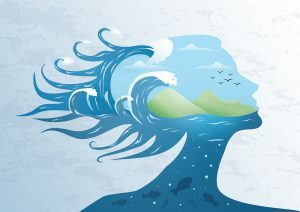 If you dream of a real life issue over and over again, chances are that your mind is too involved in that which might be affecting the other areas of your life as well. I am not talking about dream interpretation here, just the direct inferences. Once you start to keep a track of what happens in your dreams, after sometime it will show you how we feel all the sensations in the dream world just like the real life and how we get caught up in the unreal things whether it is pain or pleasure, it reveals our mind’s predisposition for reification, it can be a great spiritual lesson for your waking life. Dreams are a great way to know what our inner mind is saying to us. Reading your dream journal sometimes gives you ideas that you might have never been able to receive using surface level thinking. Our subconscious mind is always providing us solutions for our real life problems since it can access the infinite intelligence, but due to the restless nature of our conscious mind, we are not able to receive them, so reading your dreams sometimes shows you the right path. After all, many great inspirations came to people in their dreams like “yesterday” song from the Beatles and the atomic structure of benzene. The creative part of our brain, the right brain hemisphere is activated when we take interest in our dream world. Keeping a dream journal helps you to have a more relaxed approach towards life since you are willing to get involved in the fun activities like knowing your dreams which is irrelevant to a lot of people. This naturally makes you more creative and enables you to see the world from a new perspective, that alone can help you to clear some of your biggest hurdles in life. I believe I have given you enough reasons to start keeping a dream journal, so buy a good quality journal and start writing your dreams. If you are interested in lucid dreams then you may enjoy my post on the lucid dreaming meditation that works best and I also suggest you to read my post where I have provided some methods for using our subconscious mind power to achieve our goals. Have queries?? You can mail me at hari@zerotoinfinitude.com, I will be very happy to help you.